Up for review today is this year's Family Reserve release from Padron. 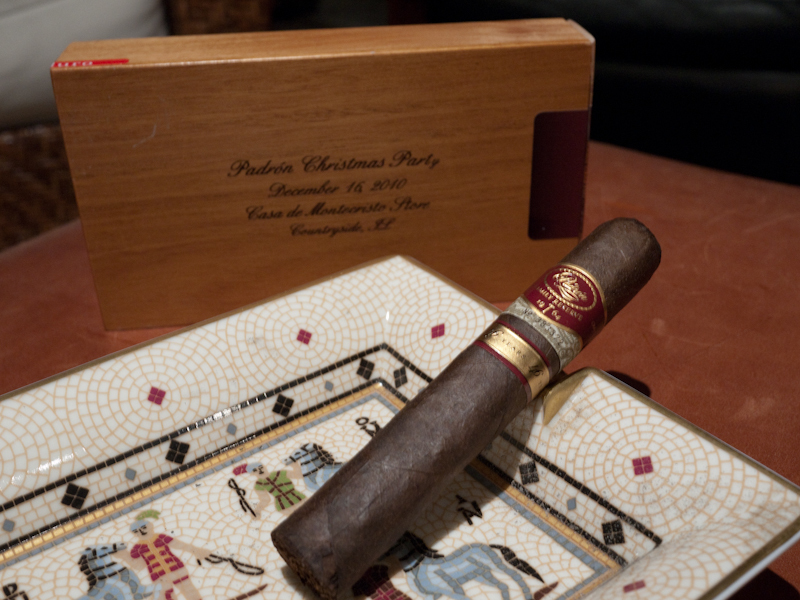 Last year, as most of you probably know, the Padron Family Reserve 45 was awarded Cigar Aficionado's Cigar of the Year. 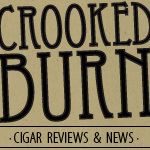 It was certainly a great cigar, so I am excited to see how this year's release stacks up. The particular cigar I am smoking came in a three pack of sticks that was available at the Padron holiday party held at Casa De Montiecristo on December 16th. The Cigar Explorer crew was invited to the event and managed to get our hands on one of these three packs. A little bit about the cigar. 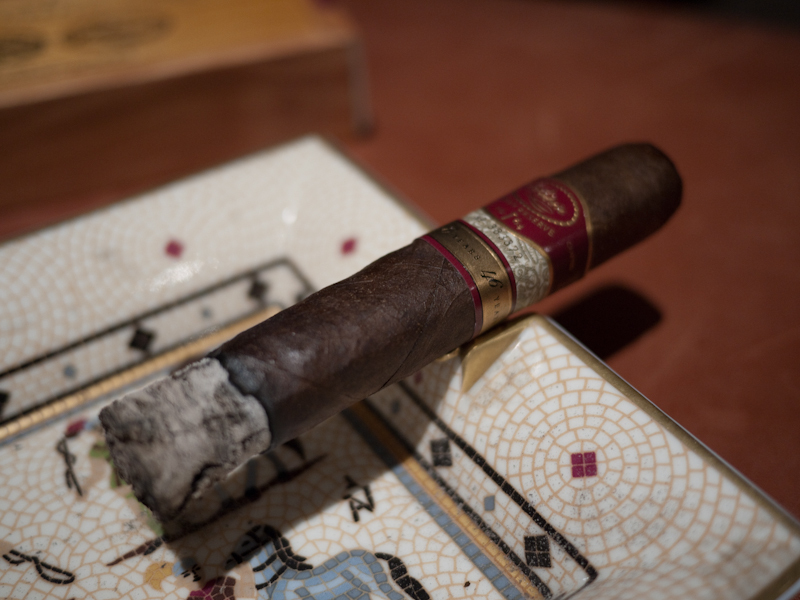 Padron uses only their finest tobacco when it comes to the Family Reserve. If you look around the web you can find quotes from Jorge Padron stating that this year's stick uses some of the oldest tobacco they own. When Mario from Cigar Explorer was chatting with Jorge at the event, he expressed that what makes Padron have great cigars are the raw materials they utilize. I would say that the quality construction plays into it, also, but Jorge insists it's the materials. The first thing which caught my attention about the Padron 46 was how much bigger it felt in my hand compared to the Padron 45th. The ring gauge is bigger, but I think it is more to do with the stick being only slightly boxed-pressed, rather than the hard press of last year's release. The wrapper is a toothy, dark brown color that is 100% consistent all the way around the cigar. There are a few veins, but they are so small that you really have to inspect the cigar closely to pick them out. The pre-lit aroma is of aged tobbacco, with some hints of espresso closer to the open foot. The cap clipped easily and the cold draw tasted of sweet tobacco mixed with some coffee flavors. I lit my Padron 46 with a soft flame lighter and the cigar began to burn beautifly. Seemingly with some sticks, you really have to torch them to get the going correctly; this one was quite the opposite. The initial flavors on the draw were a warm cinnamon spice which was most apparent on the top of my tounge, mixed with aged tobacco. On the finish was a light cocoa flavor that didn't last too long, but made for a interesting waiting period between puffs. The smoke was very clean and didn't leave a heavy or filmly feeling on my palate. As to be expected after smoking last year's releases, the constuction of this cigar was impeccable. The ash was bright white, the burn was straight, and the draw effortless. I would plant this cigar in the medium strength body range at this point. The second third brought a new flavor to the show that immediately took enter stage. The finish was similar to the first third with light cocoa flavors, but now on the front of the profile came a very strong, woodsy, cedar flavor. It was almost like a switch had been thrown with this taste because it was, by far, the dominate flavor of this part of the cigar. I also need to mention here just how unbeliveably good the resting smoke from this cigar was. The aroma was mostly of high quailty cedar, but with hints of floral notes and (call me weird)...I smelled jasmine. Toward the end of the second third, some of that warm spice started to show through the strong cedar flavor again. Nothing very spicy, just enough to warm my palate. This part of the cigar was where I felt like I was smoking something special. 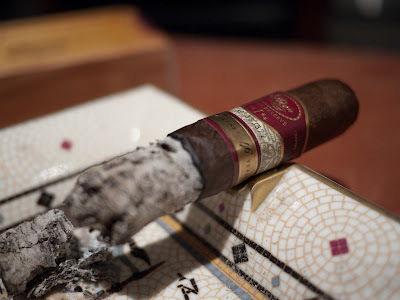 Again, the draw/burn/ash...all Padron Family Reserve perfection. In the final third of my Padron 46, it was the finish on the flavor profiles' turn to change up a bit. The front was still the warm spice, mixed with strong cedar notes. (I hope everyone that smokes this cigar gets that flavor because for me, it was very enjoyable.) The change here was the finish went from a light cocoa taste into more of a rich dark chocolate flavor; almost so dark it could have been baking chocolate. With that flavor change, the length of the finish also seemed to last longer between puffs. The body stayed a consistant medium and the constuction was spot on. When nubbing the cigar, the dark chocolate took over not only the finish but also the front end of the profile. This was a fine way to end the smoking experience. 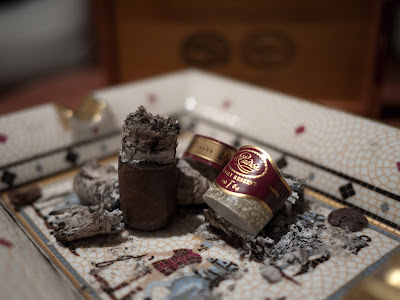 My final thoughts on the Padron Family Reserve 46 Year? Smoking this cigar just makes you feel classy. The taste and the aroma of the smoke is complex and sophisticated. I kept thinking that this is the kind of cigar you would smoke after a formal dinner on a old-fashioned cruise ship. The construction is what you would expect from a cigar of this calibur and the burn never even hinted at needing a touch up. Is this cigar better than the "cigar of the year" from last year? I would say yes. Like I wrote above, last year's was a great cigar, but for me, this year's had just a little more to it...of what I'm not sure, but something was there. Would I buy it again? It is hard to think of a cigar that is better than this one for a special occasion. With that said, the occasion has to be the right one. An outside party or a night at the smoke shop where there are lots of people smoking is not what this stick is for. This cigar should be experienced by yourself or with just a few other BOTLs relaxing at the end of the day. The short story? Yes, I would buy more. Would I buy a box? I wish! These are way out of my price range for box purchases, but if money is no object, I would suggest buying a box and putting it away for those "special occasions". Great review, Dan. It will be interesting to see and read others' reactions to this special cigar as more people have a chance to smoke one. I'd love to try one but like you said, it would have to be a pretty special occasion. Yeah, the guys at the local shop always tell me to buy a Padron Anniversary even if it is a Tuesday.... I just can't pull the trigger when I can buy so many more smokes for the price of one. Yeah I do need to smoke one eventually, because they sound amazing, but.... Better quantity over quality. Great review. thanks for reading guys. I wish I had another ne for new years.